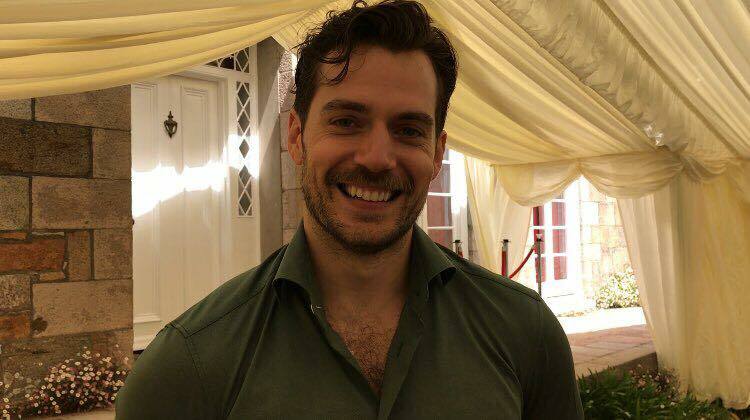 It's been such an exciting time here at HCN, thanks to Henry's busy filming schedule. But he still managed to make it back home to Jersey, to once again take part in The Durrell Challenge. We had the chance to catch up with him to talk about the 13K run, preparing for it, why your support means so much to him (yes, he reads your comments on his Instagram), and even his M:I6 moustache! You can catch everything else from The Durrell Challenge in our wrap. Henry's fundraising page will continue taking donations, with all money going to helping Durrell continue its animal conservation work around the world. This made my day. Thank's for sharing ! great interview and great questions as usual. Oh God.. he's so charming with or without his lovely moustache. I love him and his birthday and his movies and his interviews and Jersey and Durrell and RM and HCN. Thanks a lot guys! Love and regards, D.
Yes, I understand what you mean! I stared into his eyes throughout this interview. It was shot so well, I felt like he was talking directly to me, then I started to feel like I was the one asking him questions. What an amazing experience, brought to me by HCN. Handsome gent alright :) what a hottie!don't know how you didn't pass out HCN! Thanks for posting! I was thinking the same thing Daniela, I would need a valium just to get through it on my two feet. What a gorgeous man, both physically and in personality. He has such an aura about him it must be overwhelming to witness it in person. Love his commitment in helping endangered animals by raising awareness of their plight.